Irish families care about the food they eat. They care about its freshness. Where has it been grown? How good it is for you. They also care about recycling their leftover kitchen scraps, food peelings and garden waste cleanly, effectively and economically. 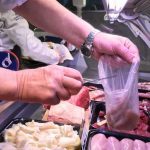 Kitchen waste dries out when it’s collected and stored in a BioBag bag. This makes it lighter and cheaper to use your home’s pay-by-weight bin. Our bags are designed to fit most kitchen counter-top containers and bins including our MaxAir Caddy. BioBag liners are heavy duty sacks large enough to fit wheelie bins keeping them clean and hygienic. Just replace the liner after your bin has been emptied. 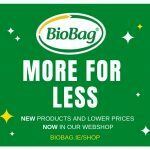 BioBag is the best selling, certified compostable bags available on the market in Ireland. 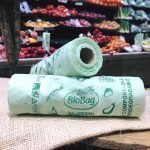 Our customers agree that BioBag products are strong and effective and make it easier (and more economical) for them to recycle food waste in their homes. 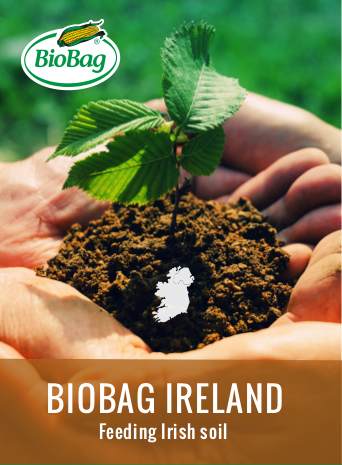 BioBag is accepted by all waste collection companies in Ireland. So when you are in the kitchen peeling chopping and scraping, BioBag is right beside you.